Courtesy of PREMIER SOTHEBY’S INT’L REALTY. 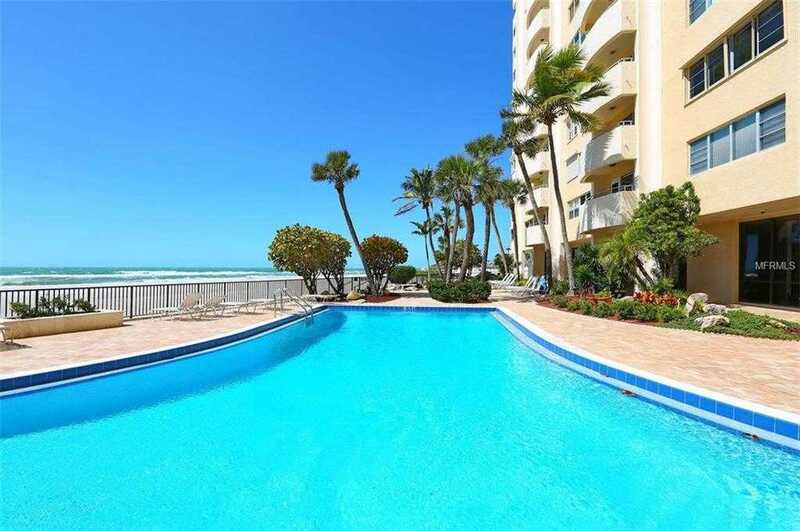 Lido Key 8211; Lido Beach larger well maintained 1059sq ft direct gulf front Turnkey unit ready to go for new owner. (This is not a side balcony 8211; this is not a parking lot view). This unit is true Gulf Front – and Features unobstructed 180 degree blazing sunset skies from nearly every room. Seller will also remove furnishings for any buyer that prefers to add their own touches. Updated with insulated Impact Windows and Impact balcony door, electric storm shutters, granite counters, newer kitchen base cabinets and cabinet doors, and a new hot water tank. Highly desired Lido Regency Building has strong reserves and onsite management. Building updates include entry way, lobby, community room, fitness room, pool, pool decking, pool shower rooms, interior hallways, and has a 5 year updates plan that can be provided. This unit also comes with covered parking space number 25. Please, send me more information on this property: MLS# C7410994 – $448,900 – 1700 Benjamin Franklin Dr #11c, Sarasota, FL 34236. I would like to schedule a showing appointment for this property: MLS# C7410994 – $448,900 – 1700 Benjamin Franklin Dr #11c, Sarasota, FL 34236.